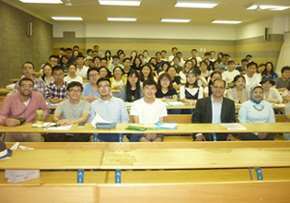 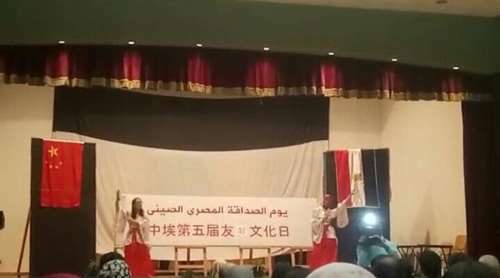 Under the patronage of Prof. Mahmoud Mohieldin, President of Pharos University, Arabic Language Center in cooperation with the Chinese Language Department at the Faculty of Languages ​​and Translation and the Confucius Institute at Pharos University held a celebration of the Egyptian-Chinese Friendship Day at Al Fanar Hall on Tuesday 19/12/2017. 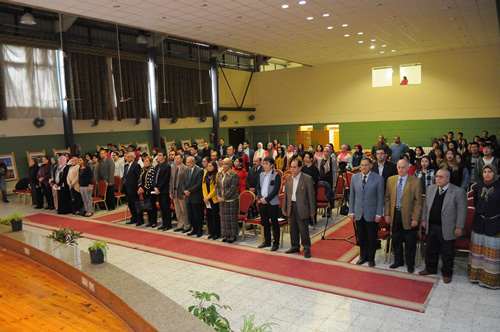 The ceremony was attended by Prof. Mahmoud Mohieldin President of the University, Mr. Xu NanShan General Consul of China , Prof. Norhan Hussain Fannaki Vice President for Education and Students Affairs, Dr. Mena Allah Jawid, International Relations Coordinator, Dr. Rehab Mahmoud Confucius Institute Director at Cairo University ,Professors from Confucius Institute at Cairo University and Dr. Abu Tamam Ahmed Merghani Arabic Language Center Director, Dr. Wahid Al-Saeed Head of Chinese Language Department and of Confucius Institute Director at Pharos University, and a number of deans of the faculties. 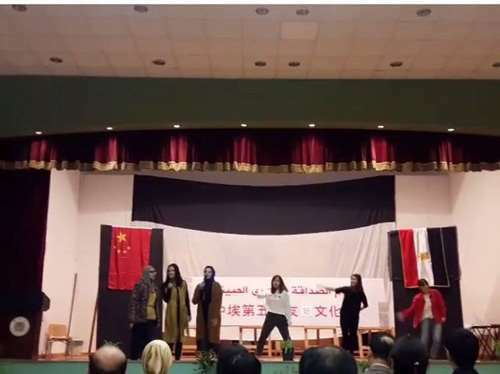 Chinese and Egyptian students presented a variety of Arabic Poetry and songs, Chinese songs, and some scenes in Egyptian and Chinese. 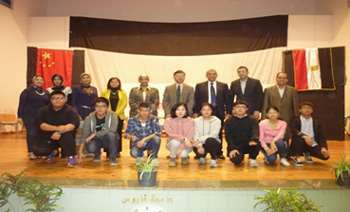 Chinese students also gave poetry and a news about the cooperation and achievements between the two countries , Time has been allocated to take a tour to see cultural and literary exhibition of Chinese students, as well as a historical exposition of China at the exhibition. 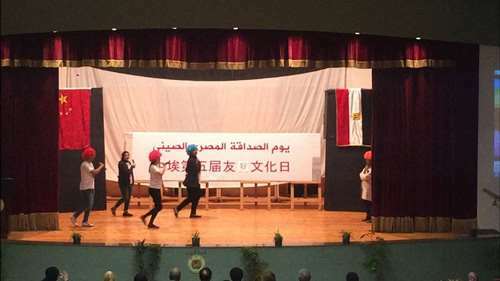 A short documentary film was one of the highlights presentation at the ceremony in which the Chinese students expressed their experiences at Pharos University and the extent to which they benefited from the courses. 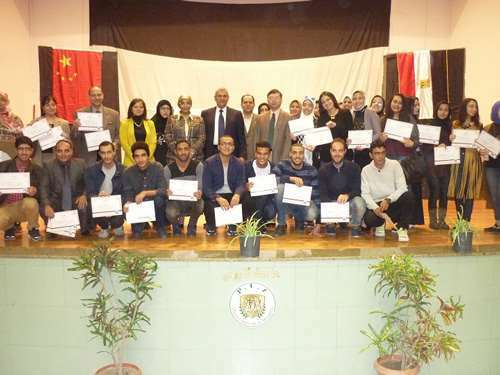 The attendees praised the efforts exerted, which gave the ceremony the proper level of creativity in a high-quality manner under the supervision of the professors, assistants and the center secretary and the efforts of students. 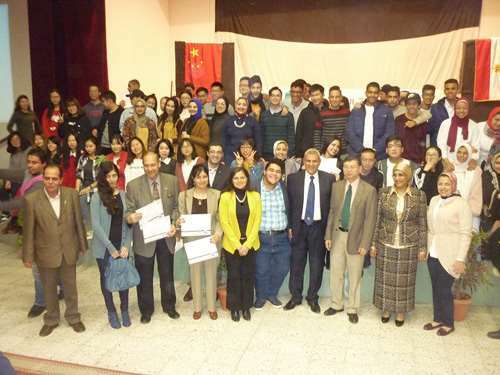 The Arabic Language Center always seeks at the Arabic language program for non-native speakers to co-exist Chinese students with the Arabic language through various educational means and various educational and recreational activities such as drawing activities, such as drawing and writing in Arabic on stones and identifying names of main Arabic books and design activity such as invitation card design. 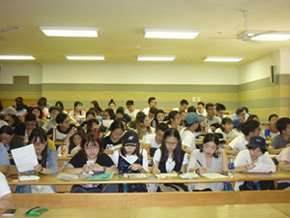 Learning the language through situations that mimic the reality that students participate in the preparation and activation of the guidance of their teachers. 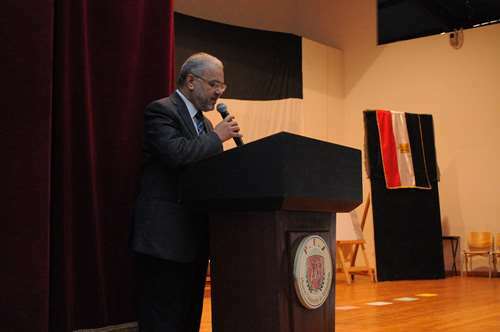 How to deal and coexist in Egypt ? 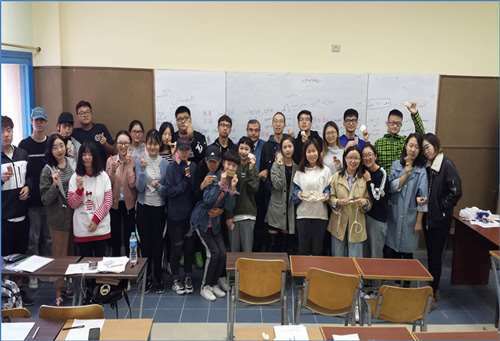 The Center teaches students Arabic language in a suitable social and cultural context, thus ensuring that they understand the students of the Standard Arabic language and interact with Egyptian and Arab culture. 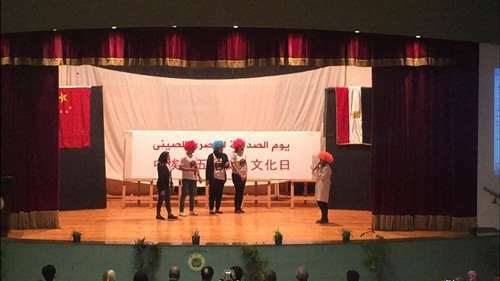 An example of the teaching and interaction of learners in a social and cultural framework is how to learn how to benefit and celebrate the Egyptian people on the occasion of “the birth of the Prophet” and to learn about the tradition of eating the “sweetness of the born“.